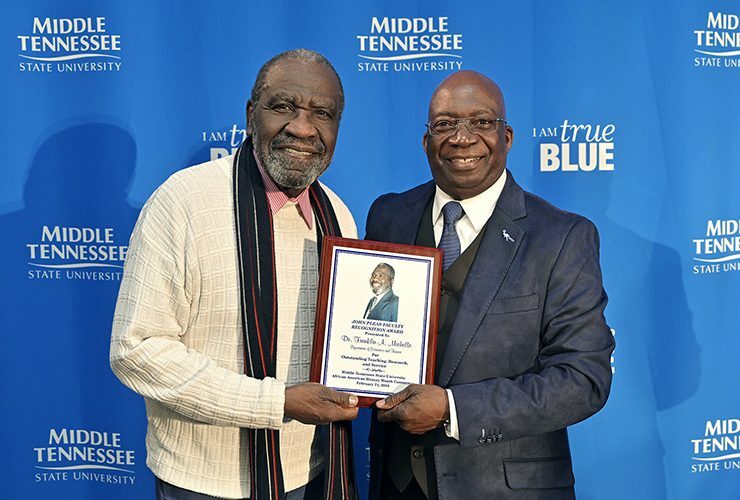 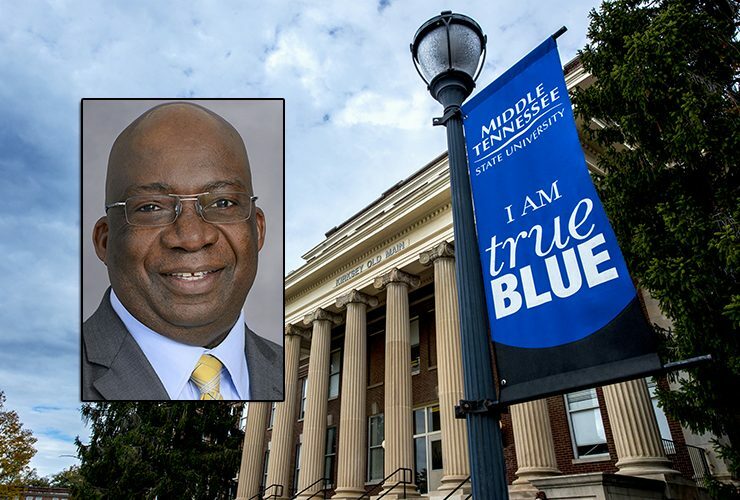 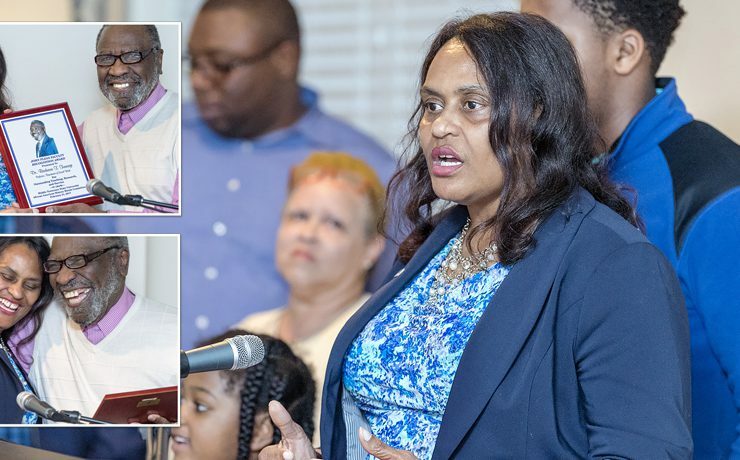 The 21st recipient of MTSU’s highest honor for black faculty is being praised as a credit to her profession and a caring mentor to future members of.. 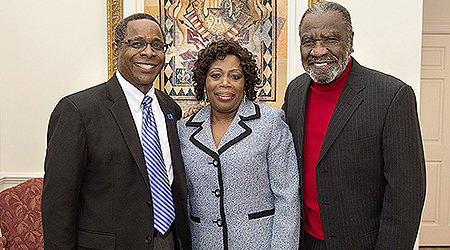 Generosity and accessibility are only two of the qualities that Dr. Linda M. Clark’s colleagues believe made her a worthy recipient of MTSU’s 2016 John.. 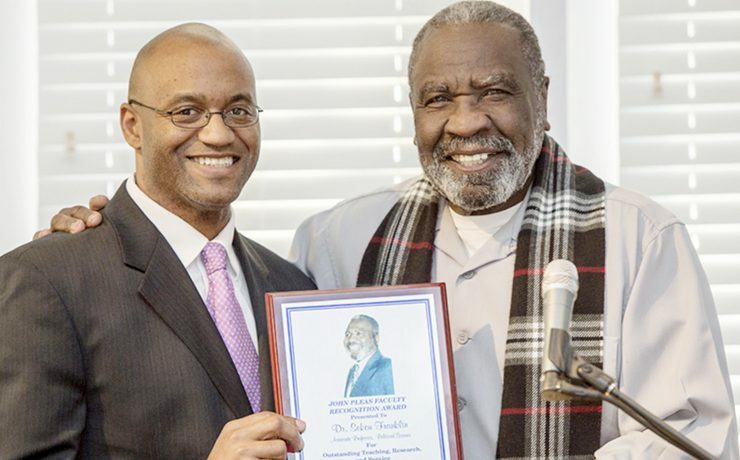 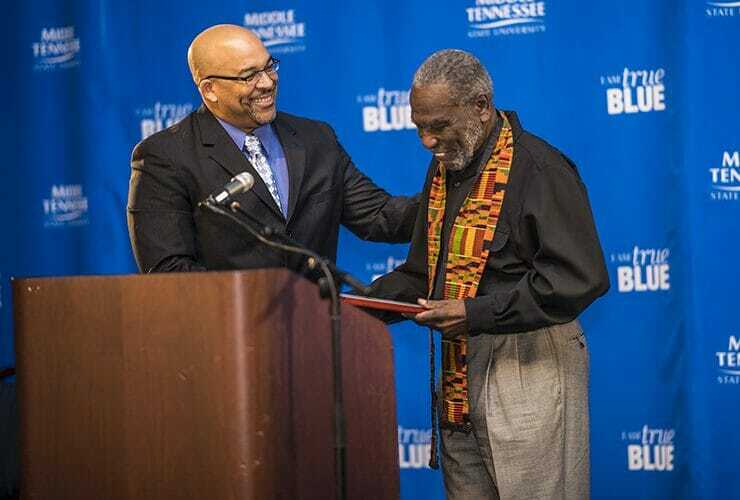 The 2014 John Pleas Faculty Recognition Award was presented to Dr. Sekou Franklin during a special ceremony in the Tom Jackson Building on the MTSU..
Lauded as a “Renaissance man” by the educator who established the honor, MTSU political science professor Sekou Franklin was hailed Thursday as the 2014 recipient..
Dr. Newtona “Tina” Johnson, professor of English and director of the Women’s and Gender Studies Program at MTSU, received the John Pleas Faculty Award during..
As the 2013 recipient of MTSU’s John Pleas Faculty Award, a humbled Dr. Newtona “Tina” Johnson soaked in the applause a moment as colleagues, friends..